Anyone want to help start a chapter/ meetup group? Yes, we should start a local chapter!!! I am in Cleveland Heights. Message me for details. I am on the West Side, but let's do this!!!! I'm west side Cleveland too! I'm interested for sure! Great! Maybe we can find somewhere- a happy, middle, affordable, classy locale and meet. I still want to see this realized! I've messaged those here, but c'mon. Let's get a presence going! I can add three or more members for the application. Maybe more. From the Rocky River and Berea areas. 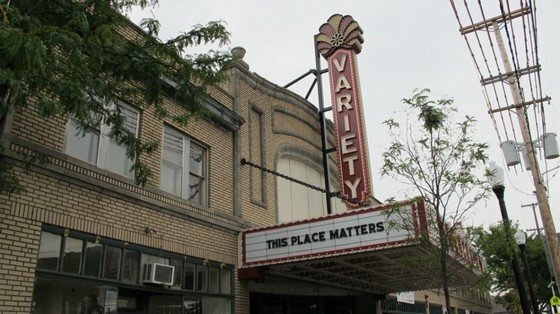 I would like to tie the Chapter in to the restoration of the Variety Theater. If we could be up and running by the re-opening I would like to get statewide exposure, possibly national for the event. I think there are some movie venues on the West Side that could serve as temporary viewing locations for the group. Hi, I saw you also message me privately and will answer- this seems like an amazing undertaking/effort. However, I think we can build into this restoration by holding events/fundraisers. If we were to meet, I know the Capitol Theatre in Gordon Square shows classic movies from time to time. It is usually in the morning, and maybe we can meet each other there and get brunch or lunch in the area afterwards? Thoughts? I don't want to neglect anyone on the East Side either. I'll see whats's on the upcoming schedule at the Capitol. If there is a venue on the East side we could alternate if there is interest. Plain Dealer, reporter, Laura DeMarco may be able to give some publicity to any events we can set up. Maybe some of the dj's at John Carroll Uni radio station could mention the events, as well. So, NEO Backlot members- we are meeting at the Capitol Theatre in Gordon Square in the near future! Anyone who can make it is welcome. The Early Show. I don't see another showing. Looks like everybody is busy or hasn't looked in. We'll try again when another classic runs. I know the spaghetti westerns are not everyone's cup of tea. TCM just played this Monday. Had not seen it in a while. Demo prep for the Variety Theater parking lot is underway. My co-worker's parents saw the 1964 Beatles show there. Great times, I'm sure. After the pandemonium, the Mayor banned the Beatles from Cleveland during the 1965 tour. The guys returned and played Municipal Stadium in '66 and the crowd jumped the barriers. There wasn't much the police could do and that helped influence the Beatles decision to stop touring. Crazy. 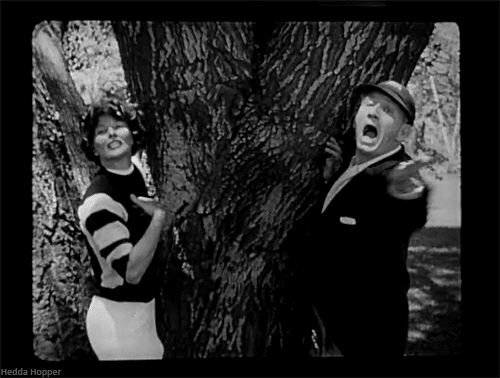 Hello, TCM Backlot Members from Northeast Ohio! Has this local chapter been officially started? I do not see it listed on the page of Local Chapters. I would like to join so that I have other people to share my passion for classic films. Thanks. We haven't gotten the app in as yet. Thinking the Capitol Theater should be the venue. They don't run a lot of TCM style classics. I was going to talk to them and see if they had an interest in running them more often and what support they would need for marketing. They would need some ROI for their time and resources I'm sure and that would require a level of ticket sales and ads. I wonder if they are one of the theatres that TCM does special showings at. If not, they should be. Hi! Long-time lurker, first time posting as a Backlot member here! Since TCM asks to potential groups to associate with a "movie theater...that regularly shows TCM Big Screen Classics" may I suggest using the Cinemark Valley View as this location? It does fit this major TCM requirement; it is roughly between the East Side and West Sides of Cleveland, and is easily accessible from Akron/Canton (Youngstown, ehhhhh....). It is also (IMO) a very nice multiplex! Has a chapter been formed yet? I like the idea of making the Valley Vietge groups theatre. They already show TCM movies, the venue is clean, comfortable and has accessible parking. it may not have the ambiance of the Capitol or Cedar Lee but it’s location is easily reached no matter what direction you are coming from and it is handicap accessible. Hello fellow Backlot members. Been a member for quite a while but I rarely looked at these threads. I'm all in for a Backlot chapter in Northeast Ohio. I only live 10 minutes from Cinemark Valley View so that's really my "home" theater. Let's do it!! I live in Northeaat Ohio and if a Backlot group forms I’d love to meet up. I’ve been searching to see if one was kinda close by. Well, Northeast Ohio TCM fans, do we want to start a chapter? I would like to join so that I have other people to share my passion for classic films. Thanks. I'm still on board to start a Northeast Ohio Chapter. I'm only 10 minutes from Cinemark Valley View and I'm hoping that all of us can connect to get it going. Don’t we have enough interest to start a chapter in Northeast Ohio? I see me (EileenM), DMoore, Jill Pixler, AMR, Mr. Stax, cjm1223, hepclassic, kcselectrical56, foxfight, ccchristie464. Now that I have finished my Miss Barbara from Romper Room impression! Does someone want to volunteer to manage our group?